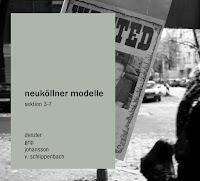 Last year, Neuköllner Modelle dropped Sektion 1-2 seemingly out of nowhere. 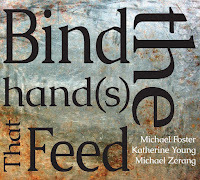 Fotis had a really great write-up of the album, along with a long interview with bassist and Umlat Records founder Joel Grip. It’s one of those albums that just hums along with a ton of energy and fluidity. 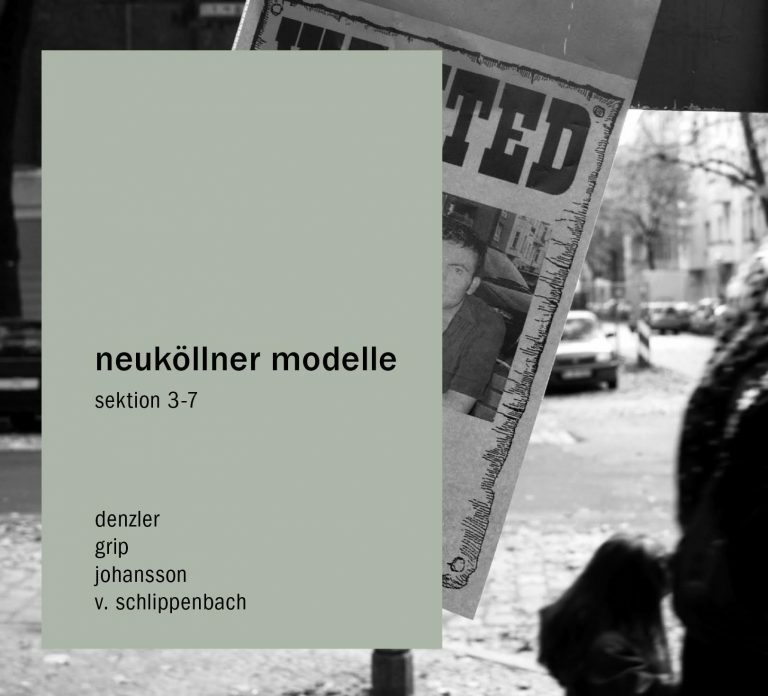 For those who missed that earlier review, Neuköllner Modelle is an acoustic jazz trio in the classic free-improv tradition, with Grip on bass, Bertrand Denzler on sax, and Sven-Åke Johansson on drums. For Sektion 3-7, Alexander von Schlippenbach joins on piano, and the group’s sound is as effervescent and creative as ever. Opening “Sektion 3” with a Monkish line, von Schlippenbach fits effortlessly into the group’s aesthetic, expanding the balanced dynamics of the first album. Johansson plays off von Schlippenbach’s open play with his light, swinging touch. 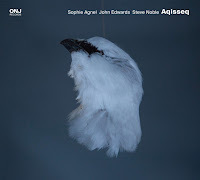 Later, deep in “Sektion 6,” when the pace and tension are ratcheted up several notches, Johansson’s range on toms and snare nicely contrasts von Schlippenbach’s chordal maneuvers. 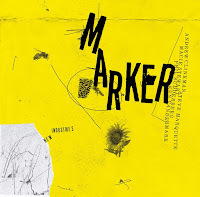 Again, Denzler’s saxophone lends a kind of Rollins-esque warmth to the album. 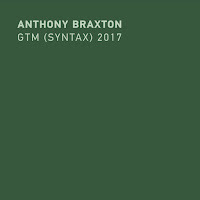 His command of tone and rhythm presents an almost misleading veneer to the hard edges of his improvisations. Near the opening of the long closing suite, “Sektion 7,” Denzler rides along the razor’s edge of a tense, teasing melody. Gently driving the quartet, with Grip, von Schlippenbach, and Johansson filling in the space around Denzler with blocky harmonic movements. With Denzler high in the upper register of his tenor, Grip keeps steady time with a circular walking line. 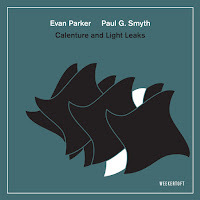 Again, it’s this subtle connective tissue that calls back to the tradition of blending swing, bop, and free improvisation. Grip lays back for long stretches of “Sektion 7,” gradually moving into more abstract areas as the piece progresses. As with their debut, Sektion 3-7 is another great slab of acoustic improvisation, this time from four masters of improvisation. von Schlippenbach is the perfect addition to the group’s unified blend, and of course it’s an absolute delight to try and catch the references and quotes he liberally weaves in throughout the album, most notably in the middle area of “Sektion 7.” I for one, can’t wait to hear the next 8+ sektions. Available on vinyl direct from Umlaut Records and download available from subradar.no.